Soumen Banerjee, and Susanta Kumar Parui, “Compact One-Sixth Mode Substrate Integrated Waveguide based Antennas for Wireless Communication and Public Safety Systems,” Wireless Personal Communications, Springer, vol. 103, no. 4, pp. 2909–2925, Dec. 2018. Soumen Banerjee, Biswarup Rana, and Susanta Kumar Parui, “Gain Augmentation of a HMSIW based Equilateral Triangular Antenna using CRSF FSS Superstrate, ” Radioengineering Journal, vol. 27, no. 1, pp. 47-53, Apr. 2018. Soumen Banerjee, Biswarup Rana, and Susanta Kumar Parui “HMSIW based Miniaturized Sensing Antennas for S- and C-Band Applications,” IEEE Sensors Letter, vol. 1, no. 1, pp. 1-4, Feb. 2017. Soumen Banerjee, Biswarup Rana, and Susanta Kumar Parui “Substrate Integrated Waveguide based Triangular Antenna Arrays,” Microwave and Optical Technology Letters (MOTL-Wiley), vol. 58, no. 3, pp. 675-679, Mar. 2016. Soumen Banerjee, Biswarup Rana, and Susanta Kumar Parui “SIW based Compact and Dual-band Equilateral Triangular Antennas,” Journal of Electromagnetic Waves and Applications (Taylor & Francis). vol. 30, no. 5, pp. 637-650, Feb. 2016. Soumen Banerjee, Sankhadeep Chatterjee, Raktim Chakraborty “Studies on the performance characteristics of a typical Collision-free Transportation system” International Journal of Application or Innovation in Engineering & Management, vol. 3, no. 7, pp. 29-35, July 2014. Soumen Banerjee, Oishee Mandal, Saswati Halder, Debashree Bhowmik, and Arinima Saha, “β-GaN Avalanche Transit Time Diode as a potential source at Millimeter wave window frequency” International Journal of Signal Processing, Image Processing and Pattern Recognition (Korea), vol. 7, no. 3, pp. 247-256, Jun. 2014. Raktim Chakraborty, Saubhik Paladhi, Sankhadeep Chatterjee, Soumen Banerjee,“An optimized algorithm for solving combinatorial problems using Reference Graph,” IOSR Journal of Computer Engineering, vol. 16, no. 3, ver. III, pp. 1-7, May-June 2014. Soumen Banerjee, Tanumoy Sarkar, Dhiman Sanyal, Pronoy Barmon, Indrajit Das, “Effect of mobile space charge in Si/Si0.9Ge0.1 heterojunction double drift Impatt oscillator at W-band window frequency,” IOSR Journal of Electronics & Communication Engineering, vol. 9, no. 3, pp. 41-47, May-June 2014. Soumen Banerjee, Oishee Mandal, Saswati Halder, Arinima Saha, Debashree Bhowmik, “A comparative study on optimized bias current density performance of β-GaN avalanche transit time diode at Ka-band and Terahertz frequency,” International Journal of Scientific Engineering & Research, vol. 5, no. 3, pp. 245-248, Mar. 2014. Soumen Banerjee, Tanumoy Sarkar, Dhiman Sanyal, Pronoy Barmon, Indrajit Das, “Studies on Noise measure ratio in Heterojunction and Homojunction avalanche transit time diode at W-band window frequency,” International Journal of Scientific Engineering & Research, vol. 5, no. 3, pp. 242-244, March 2014. Soumen Banerjee, Subhajit Mukherjee, Tuhin Das, Abhishek Barik, “Studies on current-voltage, capacitance-voltage and optical illumination effect in MISIM Nanostructure Devices,” IOSR Journal of Applied Physics, Special Issue, vol. 1, pp. 15-20, Jan. 2014. Soumen Banerjee, Santanu Goswami, Reevu Ghosh, Adrisha Mullick, “Studies on Sensor Fault Validation in VAV air-conditioning system using Artificial Neural Network,” IOSR Journal of Electrical and Electronics Engineering, Special Issue, Vol. 3, pp. 15-18, January 2014. Soumen Banerjee, Tanumoy Sarkar, Dhiman Sanyal, Pronoy Barmon, Indrajit Das, “Mobile space charge effect in Si/Si0.9Ge0.1 heterojunction double drift Impatt oscillator at W-band window frequency,” International Journal of Advanced Engineering & Computing Technologies, Special Edition, Dec. 2013. Soumen Banerjee, Oishee Mandal, Saswati Halder, Arinima Saha, Debashree Bhowmik, “Optimized bias current density performance of β-GaN avalanche transit time diode at Ka-band window frequency,” International Journal of Advanced Engineering & Computing Technologies, Special Edition, Dec. 2013. Soumen Banerjee, “Dynamic characteristics of Impatt diodes based on Wide bandgap and Narrow bandgap Semiconductors at W-Band,” International Journal of Engineering Science & Technology, Vol. 3, Issue 3, pp. 2149-2159, Mar. 2011. Soumen Banerjee, Priya Chakrabarti and Riya Baidya, “Effect of Bump width on the efficiency of High-Low 4H-SiC Impatt at Ka-Band window frequency,” International Journal of Engineering Science & Technology, vol. 2, no. 10, pp. 5657-5662, Oct. 2010. Moumita Mukherjee, Soumen Banerjee and J. P. Banerjee, “Dynamic characteristics of III-V and IV-IV Semiconductor based transit time devices in the Terahertz regime: A comparative analysis,” International Journal of Terahertz Science & Technology (USA), vol. 3, no. 3, pp. 97-109, Sept. 2010. Soumen Banerjee, Priya Chakrabarti, Riya Baidya and J. P. Banerjee, “Studies on frequency chirping in optically illuminated -Gallium Nitride Impatt Diodes at Sub-millimeter wave frequency,” Journal of Telecommunications, vol. 3, no. 2, pp. 1-8, Jul. 2010. Soumen Banerjee and J. P. Banerjee, “Studies on Optical Modulation of III-V GaN and InP based DDR Impatt diode at Sub-millimeter wave frequency,” International Journal of Engineering Science & Technology, vol. 2, no. 7, pp. 2790-2801, July 2010. Jayanta Mukhopadhyay, Soumen Banerjee, Moumita Mukherjee and J. P. Banerjee, “A comparative study on Indium Phosphide and α-Gallium Nitride based Impatt Oscillators for Terahertz communication,” Journal of Telecommunications, Vol. 3, Issue 1, pp. 14-21, Jun. 2010. Soumen Banerjee, Moumita Mukherjee and J. P. Banerjee, “Bias Current Optimization of Wurtzite-GaN DDR Impatt diode for high power operation at THz frequencies,” International Journal of Advanced Science & Technology (Korea), pp. 11 – 20, vol. 16, Mar. 2010. Sayani Ghosh, Kalyan Koley, Chandan K. Sarkar, “A deep insight into Linearity and NQS parameters of Tunnel FET with emphasis on Lateral Straggle,” IET Micro and Nano Letters, vol. 13, no. 1, pp. 35-40, Jan. 2018. Sayani Ghosh, Kalyan Koley, Samar K. Saha and Chandan K. Sarkar, ” High Performance Asymmetric Underlap Ge-pTFET with Pocket Implantation,” in IEEE Transactions on Electron Devices, vol. 63, no. 10, pp. 3869-3875, Oct. 2016. Subhalaxmi Chakraborty, Chintan kumar Mandal and Sankar Gangopadhyay, “Prediction of first higher order modal field for graded index fiber in presence of Kerr nonlinearity,” Journal of Optical Communications (Germany). Subhalaxmi Chakraborty, Chintan kumar Mandal and Sankar Gangopadhyay, “Prediction of fundamental modal field for graded index fiber in presence of Kerr nonlinearity”, Journal of Optical Communications (Germany). Subhalaxmi Chakraborty, Shubhendu Maiti, Chintan Kumar Mandal, and Sankar Gangopadhyay, “A novel and accurate method for analysis of single-mode dispersion-shifted and dispersion-flattened fiber directional coupler”, Optik, Elsevier, vol. 157, 2017. Angshuman Majumdar, Subhalaxmi Chakraborty et. al “A simple method for prediction of far-field pattern of mono-mode graded index fibers in the low V region” Journal Optik, International Journal for Light and Electron Optics, vol. 127, Pages 5295–5300, 2016. Subhalaxmi Chakraborty et. al, “A simple but accurate method for prediction of splice loss in single-mode dispersion shifted trapezoidal as well as dispersion flattened graded and step W fibers” Journal Optik, International Journal for Light and Electron Optics, vol. 124, no. 24, Pages 6485-7084, 2013. Sayani Ghosh, Kalyan Koley, Chandan K. Sarkar, “Study of process induced variability of germanium-pTFET in analog and RF domain,” Microelectronics Reliability, vol. 65, no. 7, pp. 47-54, Oct 2016. Sayani Ghosh, Kalyan Koley, Samar K. Saha and Chandan K. Sarkar, “Influence of the Gate Height Engineering on the Intrinsic Parameters of UDG-MOSFETs With Nonquasi Static Effect,” in IEEE Journal of the Electron Devices Society, vol. 3, no. 5, pp. 410-417, Sept. 2015. Sayani Ghosh, Kalyan Koley, Chandan K. Sarkar, “Impact of the lateral straggle on the Analog and RF performance of TFET,” Microelectronics Reliability, vol.55, no.2, pp.326-331, Feb 2015. Tanumay Manna and Iti Saha Misra, “A Prediction and Scheduling Framework in Centralized Cognitive Radio Network for Energy Efficient Non-Real Time Communication,” Communication Systems, Wiley, vo. 31, no. 13, e3716, Sep. 2018. Tanumay Manna and Iti Saha Misra, “Implementation of Relay based Collaborative Spectrum Sensing using Coalitional Games in Wireless Cognitive Radio Networks,” Computers and Electrical Engineering Journal, Elsevier, vol. 45, pp. 77-99, Jul. 2015. Tanumay Manna and Iti Saha Misra, “Implementation of Energy Efficient WBAN using IEEE 802.15.6 Scheduled Access MAC with Fast DWT based Backhaul Data Compression for e-Healthcare,” Communication Systems and Networks, Lecture Notes in Computer Science (LNCS), Springer, vol. 11227, 2019. Tamal Chakraborty, Iti Saha Misra and Tanumay Manna, “Design and Implementation of VoIP Based 2-tier Cognitive Radio Network for Improved Spectrum Utilization,” IEEE Systems Journal, IEEE, vol. 10, no. 1, pp. 370-381, Mar. 2016. Priyanka Das, “Modeling of ultra-wide stop-band frequency selective surface to enhance the gain of a UWB antenna,” accepted, IET Microwaves, Antennas & Propagation. Rimi Sengupta, “Design and Analysis of Different Adder Circuit Using Output Wired Cmos Logic Based Majority Gate” IOSR Journal of Electronics and Communication Engineering (IOSR-JECE), vol. 12, no. 6, pp. 35-43, Nov.- Dec. 2017. Goffar Sarkar, Soumen Banerjee, Susanta Kumar Parui , “SIW based Semi-Circular 2 × 2 MIMO Antenna”, Proc. of 2nd International Conference on Electronics, Materials Engineering and Nano-Technology (IEMENTech-2018), 2018. Shouvik Chakraborty, Kalynai Mali, Soumen Banerjee, Kyamelia Roy, Sankhadeep Chatterjee, Nairik Dutta, Navoniloy Bhaumik, and Sourav Mazumdar, “Dermatological effect of UV rays owing to Ozone layer depletion “Proc. of 4th International Conference on Opto-Electronics and Applied Optics (OPTRONIX-2017), Kolkata, West Bengal, India, Nov. 2017. Subrata Datta, Shouvik Chakraborty, Kalyani Mali, Sankhadeep Chatterjee, Soumen Banerjee, Kyamelia Roy, Madhurima Chakraborty, Sanchari Bhattacharjee “Optimal usage of Pessimistic Association Rules in cost effective decision making,” Proc. of 4th International Conference on Opto-Electronics and Applied Optics (OPTRONIX-2017), Kolkata, West Bengal, India, November 2017. Shouvik Chakraborty, Kalynai Mali, Sankhadeep Chatterjee, Soumen Banerjee, Kyamelia Roy, Debanjan Saha, Sushobhan Dutta, Swatilekha Majumder, “Bag-of-Features based classification of Dermoscopic Images,” Proc. of 4th International Conference on Opto-Electronics and Applied Optics (OPTRONIX-2017), Kolkata, West Bengal, India, Nov. 2017. Shouvik Chakraborty, Kalynai Mali, Soumen Banerjee, Kyamelia Roy, Sankhadeep Chatterjee, Kamelia Deb, Sayan Sarkar, Neha Prasad, “An Integrated Method for Automated Biomedical Image Segmentation,” Proc. 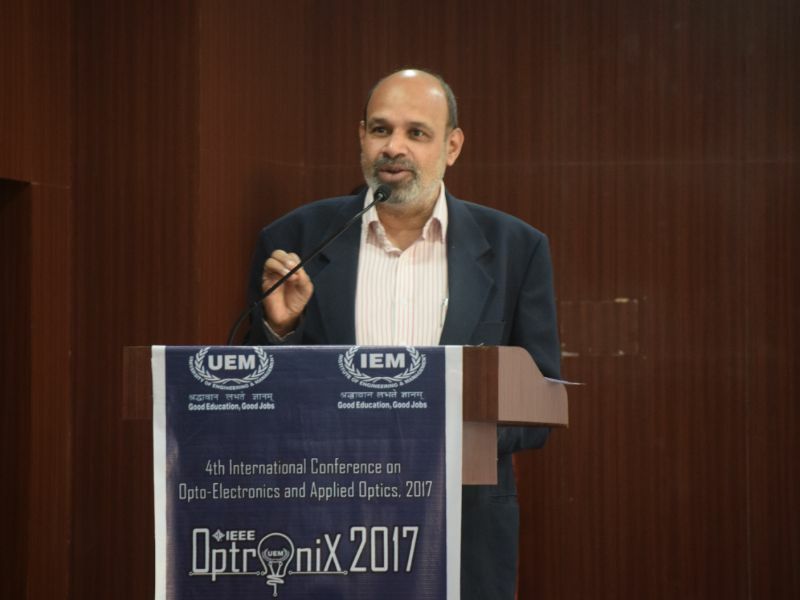 of 4th International Conference on Opto-Electronics and Applied Optics (OPTRONIX-2017), Kolkata, West Bengal, India, Nov. 2017. Kyamelia Roy, Soumen Banerjee, Rahul Dhar, Indrajit Poddar, Parijat Dhar, Sourav Halder, Saurav Kumar, “An efficient OCR Based Technique for Barcode Reading and Editing,” Proc. of 4th International Conference on Opto-Electronics and Applied Optics (OPTRONIX-2017), Kolkata, West Bengal, India, November 2017. Mousomi Roy, Shouvik Chakraborty, Kalyani Mali, Sankhadeep Chatterjee, Soumen Banerjee, Shibjit Mitra, Rajarshee Naskar, Anubhab Bhattacharjee, “Cellular Image Processing using Morphological Analysis,” Proc. of 8th IEEE Annual Ubiquitous Computing, Electronics & Mobile Communication Conference (UEMCON-2017), New York City, USA, Oct. 2017. Shouvik Chakraborty, Kalyani Mali, Sankhadeep Chatterjee, Soumen Banerjee, Aayush Sah, Sayan Pathak, Suparba Nath, Debkumar Roy, “Bio-medical Image Enhancement using Hybrid Metaheuristic coupled Soft Computing Tools,” Proc. of 8th IEEE Annual Ubiquitous Computing, Electronics & Mobile Communication Conference (UEMCON-2017), New York City, USA, Oct. 2017. Shouvik Chakraborty, Kalyani Mali, Sankhadeep Chatterjee, Soumen Banerjee, Aayush Sah, Sayan Pathak, Suparba Nath, Debkumar, “Bio-medical Image Enhancement using Hybrid Metaheuristic coupled Soft Computing Tools,” Proc. of 8th IEEE Annual Ubiquitous Computing, Electronics & Mobile Communication Conference (UEMCON-2017), New York City, USA, Oct. 2017. 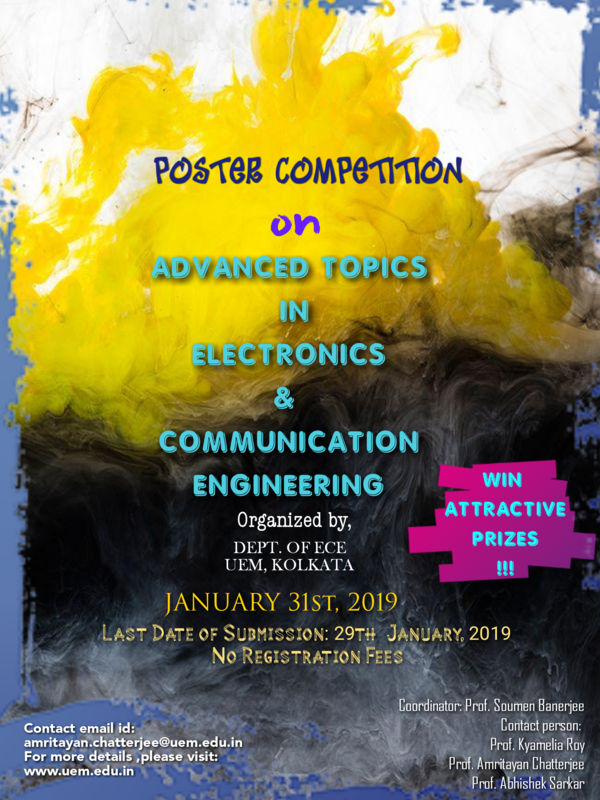 Mousomi Roy, Shouvik Chakraborty, Kalyani Mali, Sankhadeep Chatterjee, Soumen Banerjee, Agniva Chakraborty, Rahul Biswas, Jyotirmoy Karmakar, Kyamelia Roy, “Biomedical image enhancement based on modified Cuckoo Search and morphology,” Proc. of 8th Annual Industrial Automation and Electromechanical Engineering Conference (IEMECON-2017), pp. 230-235, UEM Congress-2017, Bangkok, Thailand, August 2017. Shouvik Chakraborty, Kalyani Mali, Sankhadeep Chatterjee, Soumen Banerjee, Kaustav Guha Mazumdar, Mainak Debnath, Pikorab Basu, Soumyadip Bose, Kyamelia Roy “Detection of skin disease using metaheuristic supported artificial neural networks” Proc. of 8th Annual Industrial Automation and Electromechanical Engineering Conference (IEMECON-2017), pp. 224-229, UEM Congress-2017, Bangkok, Thailand, August 2017. Sankhadeep Chatterjee, Soumen Banerjee, Kaustav Guha Mazumdar, Soumyadip Bose, Soumya Sen, “Non-dominated sorting genetic algorithm-II supported neural network in classifying forest types,” Proc. of 1st International Conference on Electronics, Materials Engineering and Nano-Technology (IEMENTech-2017), pp. 1-6, Kolkata, India, April 2017. Kyamelia Roy, Saurav Kumar, Soumen Banerjee, Tishya Sarma Sarkar, Sheli Sinha Chaudhuri “Dehazing technique for natural scene image based on color analysis and restoration with road edge detection,” Proc. of 1st International Conference on Electronics, Materials Engineering and Nano-Technology (IEMENTech-2017), Kolkata, India, April 2017. Sankhadeep Chatterjee, Soumen Banerjee, Pikorab Basu, Mainak Debnath, Soumya Sen, “Cuckoo search coupled artificial neural network in detection of chronic kidney disease,” Proc. of 1st International Conference on Electronics, Materials Engineering and Nano-Technology (IEMENTech-2017), pp. 1-4, Kolkata, India, April 2017. Soumen Banerjee, Twinkle Mohanty, Sombuddha Chatterjee, Sampoorna Das Mazumdar, Malay Gangopadhyaya, “A Miniaturized Half-Mode SIW based Semi-Circular Antenna with Arc-shaped Slot,” Proc. of IEEE 2nd International Conference for Convergence of Technology (I2CT-2017), Pune, India, April 2017. Soumen Banerjee, Sombuddha Chatterjee, Sampoorna Das Mazumdar, Shreya Chakraborty, Saptarshi Bhattacharya, Malay Gangopadhyaya, “A Compact Half-Mode SIW Semi-Hexagonal Antenna with T-shaped Slot” Proc. of IEEE 2nd International Conference for Convergence of Technology (I2CT-2017), Pune, India, April 2017. Soumen Banerjee, Kyamelia Roy, Twinkle Mohanty, Sreshtha Ray, Tishya Sarma Sarkar, Malay Gangopadhyaya, “Quarter-Mode SIW based Compact Triangular Antenna for 2.5 GHz Cellular Spectrum,” Proc. of 7th IEEE Annual Ubiquitous Computing, Electronics & Mobile Communication Conference (UEMCON-2016), pp. 625-628, New York City, USA, October 2016. Soumen Banerjee, Subhajit Chatterjee, Twinkle Mohanty, Sreshtha Ray, Tishya Sarma Sarkar, Malay Gangopadhyaya, “A Compact Dual-Band Half-Mode SIW based Semi-Circular Antenna,” Proc. of 7th IEEE Annual Ubiquitous Computing, Electronics & Mobile Communication Conference (UEMCON-2016), pp. 388-390, New York City, USA, October 2016. Soumen Banerjee, Twinkle Mohanty, Sneha Das, Biswarup Rana, “A Compact Half-Mode SIW based Semi-Circular Antenna with X-shaped Slot” Proc. of 3rd International Conference on Opto-Electronics and Applied Optics (OPTRONIX-2016), Kolkata, West Bengal, India, August 2016. 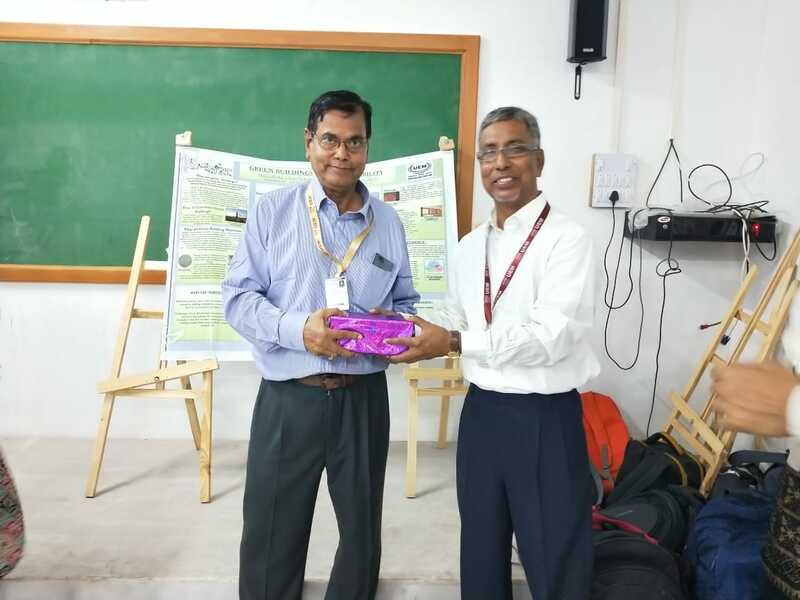 Soumen Banerjee, Sombuddha Chatterjee, Sampoorna Das Mazumdar, Malay Gangopadhyaya, Biswarup Rana, “Multi-Slot loaded Dual Band Compact Half-Mode SIW Triangular Antenna” Proc. of 3rd International Conference on Opto-Electronics and Applied Optics (OPTRONIX-2016), Kolkata, West Bengal, India, August 2016. Soumen Banerjee, Twinkle Mohanty, Sneha Das, Biswarup Rana, “HMSIW based Equilateral Triangular and Semi-circular antennas for WiMAX applications,” Proc. of 5th IEEE International Conference on Communication and Signal Processing (ICCSP-2016), Tamil Nadu, India, April 2016. Soumen Banerjee, Twinkle Mohanty, Sneha Das, Biswarup Rana, “Slot-loaded Compact HMSIW Triangular Antenna,” Proc. of International Conference on Microelectronics, Computing & Communications (MicroCom-2016), NIT (Durgapur), West Bengal, India, January 2016. Soumen Banerjee, Biswarup Rana, Susanta Kumar Parui, “A Miniaturized Semi-circular half-mode SIW Antenna,” Proc. 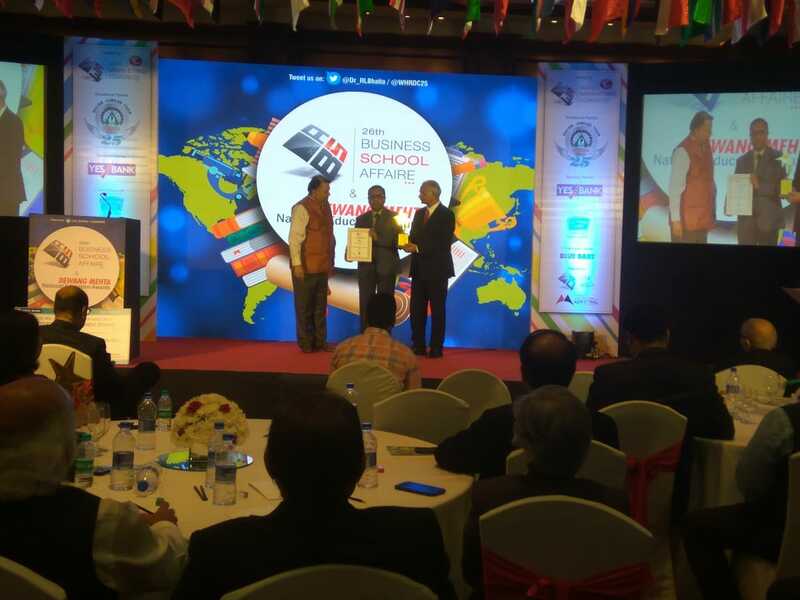 of IEEE International Conference on Computer & Devices for Communication (IEEE CODEC), Kolkata, India, December 2015. Biswarup Rana, Soumen Banerjee, Priyasha Chatterjee, Ritam Banerjee, Rituparna Basak, “Design of a CPW-Fed spiral ring-loaded miniaturized slot antenna,” Proc. of International Conference and Workshop on Computing and Communication (IEMCON-2015), pp. 20, University of British Columbia, Vancouver, Canada, October 2015. Soumen Banerjee, Biswarup Rana, Ankit Debnath, Anik Naha Biswas, Shuvoshree Bhattacharya, Ankita Chatterjee, “Cubic ZnB-GaN and Hexagonal 4H-SiC based Impatts at Ka-band: A comparative study”, Proc. of International Conference and Workshop on Computing and Communication (IEMCON-2015), pp. 68, University of British Columbia, Vancouver, Canada, October 2015. Biswarup Rana, Soumen Banerjee, Susanta Kumar Parui, “Cavity-backed slot antenna using Corrugated Substrate Integrated Waveguide technology,” Proc. of IEEE Indian Antenna Week (IAW-2015), Ajmer, Rajasthan, May 2015. Soumen Banerjee, Piyali Mukherjee, Subhodeep Mukherjee, Shruti Sinha, “The Ka-band based study on the optimized bias current density performance of cubic wide band gap semiconductor Impatts and its comparison with silicon counterpart,” Proc. of International Conference on Advances in Communication and Computing Technologies (ICACACT-2014), pp. 26-27, Mumbai, India, August 2014. Soumen Banerjee, Oishee Mandal, Saswati Halder, Arinima Saha, Debashree Bhowmik, “A comparative study on optimized bias current density performance of β-GaN avalanche transit time diode at Ka-band and Terahertz frequency,” Proc. of International Conference on Recent Advances in Physics for Interdisciplinary Developments (ICRAPID-2014), pp. 58-59, Chennai, India, January 2014. Soumen Banerjee, Tanumoy Sarkar, Dhiman Sanyal, Pronoy Barmon, Indrajit Das, “Studies on Noise measure ratio in Heterojunction and Homojunction avalanche transit time diode at W-band window frequency,” Proc. of International Conference on Recent Advances in Physics for Interdisciplinary Developments (ICRAPID-2014), pp. 57-58, Chennai, India, January 2014. Soumen Banerjee, Subhajit Mukherjee, Subhajit Mitra, Tuhin Das, Abhishek Barik, “Studies on current-voltage, capacitance-voltage and optical illumination effect in MISIM Nanostructure Devices,” Proc. of International Conference on Advances in Engineering & Technology (ICAET-2014), Nagpur (MS), India, January 2014. Soumen Banerjee, Santanu Goswami, Reevu Ghosh, Adrisha Mullick, Anand Choudhury, “Studies on Sensor Fault Validation in VAV air-conditioning system using Artificial Neural Network” Proc. of International Conference on Advances in Engineering & Technology (ICAET-2014), Nagpur (MS), India, January 2014. Soumen Banerjee, Tanumoy Sarkar, Dhiman Sanyal, Pronoy Barmon, Indrajit Das, “Mobile space charge effect in Si/Si0.9Ge0.1 heterojunction double drift Impatt oscillator at W-band window frequency,” Proc. of International Conference on Emerging Trends in Engineering & Applied Sciences (ICETEAS-2013), Jaipur, Rajasthan, India, December 2013. Soumen Banerjee, Oishee Mandal, Saswati Halder, Arinima Saha, Debashree Bhowmik, “Optimized bias current density performance of β-GaN avalanche transit time diode at Ka-band window frequency,” Proc. of International Conference on Emerging Trends in Engineering & Applied Sciences (ICETEAS-2013), Jaipur, Rajasthan, India, December 2013. Soumen Banerjee and J. P. Banerjee, “Si1-xGex Heterojunction SDR and DDR Impatts at W-Band and its comparison with Si Impatts” Proc. of International Conference on Communication, Computers and Devices (ICCCD-2010), IIT Kgp, India, 2010. Soumen Banerjee, Moumita Mukherjee, Soma Rani Karan, Priyanka Roy Chowdhury, Payel Roy, Ankita Choudhury and J. P. Banerjee, “Terahertz performance of Wz-GaN based DDR Impatt devices,” Proc. of National Conference on Materials, Devices and Circuits in Communication Technology (MDCCT), pp. 62 – 63, University of Burdwan, India, 2010. Moumita Mukherjee, Soumen Banerjee and J. P. Banerjee, “Modeling of MM-wave Pulsed Impatt Oscillator: Effects of parasitic resistances and package parameters” Proc. of National Conference on Materials, Devices and Circuits in Communication Technology (MDCCT), pp. 66 – 67, University of Burdwan, India, 2010. Soumen Banerjee, Moumita Mukherjee & J. P. Banerjee, “Studies on the Performance of Wz-GaN DDR Impatt diode at optimum bias current for THz frequencies” Proc. of IEEE 3rd International Conference on Micro/Nano Devices, Structures & Systems (IEEE MiNDSS 2010), pp. 157 – 162, Tamil Nadu, India, 2010. Moumita Mukherjee, Soumen Banerjee & J. P. Banerjee, “Mobile Space Charge effect on Terahertz properties of Wz-GaN based Double Drift Impatt Oscillators,” Proc. of IEEE International Conference on Computer & Devices for Communication (IEEE CODEC), pp. 1 – 4, Kolkata, 2009. Moumita Mukherjee, Soumen Banerjee & J. P. Banerjee, “MM-wave performance of DDR Impatts based on Cubic Silicon Carbide” Proc. of XVth International Workshop on the Physics of Semiconductor Devices (IWPSD), SSPL, Delhi, 2009. Soumen Banerjee & J. P. Banerjee, “A proposed model of Impact Ionization Rate under carrier degeneracy considering different Scattering phenomena,” Proc. of IEEE-MTTs International Conference on Recent Advances in Microwave Theory and Applications (IEEE-MTTs Microwave-08), pp. 708 – 711, 2008, Jaipur, India. Soumen Banerjee & J. P. Banerjee, “Effect of Punch through factor on the Breakdown characteristics of 4H-SiC Impatt Diode,” Proc. of IEEE-MTTs International Conference on Recent Advances in Microwave Theory and Applications (IEEE-MTTs Microwave-08), pp. 59 – 62, 2008, Jaipur, India. Soumen Banerjee, J. P. Banerjee, Ikbal Ali & S. K. Roy, “Large Signal Model to simulate the high frequency properties of optically controlled Impatt devices,” Proc. of IVth International Conference on Radio Science (ICRS), Jodhpur, 2008. Soumen Banerjee, Diptadip Chakraborty and J. P. Banerjee, “Si/Si1-xGex DDR Impatts as a potential source for millimeter wave applications,” Proc. of National Conference on Device, Intelligent Systems and Communication & Networking (AEC-DISC), pp. 187 – 192, Asansol, WB, India, 2008. S. Mukhopadhyay, Soumen Banerjee, J. Mukhopadhyay & J. P. Banerjee, “Mobile Space Charge Effect in 4H-SiC Impatt Diodes,” Proc. of XIVth International Workshop on the Physics of Semiconductor Devices (IWPSD), TIFR & IIT Mumbai, pp. 268 – 272, 2007. Tirtha Pratim Das, Soumen Banerjee and J. P. Banerjee, “Quantum Mechanical Model of MISIM Nano-structures,” Proc. of XIth International Workshop on the Physics of Semiconductor Devices (IWPSD), IIT Delhi, Vol. 1, pp. 338 – 342, 2001. S. P. Maity, Subhalaxmi Chakraborty, Monalisha Bhattacharyya, “Channel Estimation for high capacity CI/MC-CDMA System with variable datarate” QBSC-2010, Kingstone, Ontario, Canada. Santi P. Maity, Subhalaxmi Chakraborty “Adaptive power allocation in CI/MC-CDMA system with improved capacity in power constrained channel”,ICCCD- 2010,IIT Kharagpur. Kyamelia Roy, Soham Saha, Tanmoy Mondal, Sheli Sinha Choudhury, “Automatic Vehicle Detection and Motion Path Tracking based on Plotting of Vectors using Weighted Mean,” Proc. of 3rd International Conference On Opto-Electronics And Applied Optics, 2016 (OPTRONIX), Kolkata, India. M. Saha, S. R. Choudhury, Kyamelia Roy, “Ranklets: A Qualitative Review,” Proceedings of NCECS, pp. 68-73, 2011. D. Das, Kyamelia Roy, S. Basak, S. S. Chaudhury Visibility Enhancement in a Foggy Road along with Road Boundary Detection,” Proceedings of ICACNI – 2015, KIIT, Bhubaneswar, India. Sayani Ghosh, Kalyan Koley and Chandan K. Sarkar, “Effect of temperature variability on RF performance of Germanium pTFET,” 2016 3rd International Conference on Devices, Circuits and Systems (ICDCS), Coimbatore, 2016, pp. 304-307. Sayani Ghosh and Chandan K. Sarkar, “A subthreshold surface potential model to study the effect of dual material gate in gate all around n-TFETs,” 2012 International Conference on Communications, Devices and Intelligent Systems (CODIS), Kolkata, 2012, pp. 153-156. Tanumay Manna and Iti Saha Misra, “Implementation of Energy Efficient WBAN using IEEE 802.15.6 Scheduled Access MAC for e-Healthcare,” in Proc. 10th IEEE International Conference on Communication Systems & Networks (COMSNETS-2018), pp. 267-274, Jan. 2018, Bangalore, India. Tanumay Manna and Iti Saha Misra, “Designing an Analytical Model for IEEE 802.15.6 Scheduled Access Mode in Non-Saturation Regime,” in Proc. IEEE Radio and Antenna Days of the Indian Ocean (IEEE RADIO-2016), pp. 1-2, Oct. 2016, Reunion Island, France. Tanumay Manna and Iti Saha Misra, “A Fast Hardware based Hidden Markov Model Predictor for Cognitive Radio,” in Proc. 6th IEEE International Advanced Computing Conference (IACC-2016), pp. 752-758, Feb. 2016, Andhra Pradesh, India. Tanumay Manna, Iti Saha Misra, Salil Kumar Sanyal and Tamal Chakraborty, “A Framework for Implementation of Wireless Body Area Network over Software Defined Radios,” in Proc. IEEE Region-10 Technical Symposium (TENSYMP-2015), pp. 17-20, May 2015, Ahmedabad, India. Tanumay Manna and Iti Saha Misra, “Joint Optimization of Detection Thresholds and Power Allocation in OFDM Based Cognitive Femtocell Networks,” in Proc. IEEE International Conference on Communication, Networks and Satellite (COMNETSAT- 2013), pp. 69-73, Dec. 2013, Indonesia. Tanumay Manna and Iti Saha Misra, “Collaborative Spectrum Sensing in Real Cognitive Radio Network,” in Proc. 2nd IEEE International Conference on Advances in Computing, Communications and Informatics (ICACCI-2013), pp. 137-142, Aug. 2013, Mysore, India. (Acceptance-28%). Tanumay Manna and Iti Saha Misra, “Game Theoretic Spectrum Sharing for Cognitive Radios,” in Proc. IEEE International Conference on Communications, Devices and Intelligent Systems (CODIS-2012), pp.33-36, Dec. 2012, Kolkata, India. Priyanka Das, “Design and Analysis of Frequency Selective Surface Integrated Microstrip Patch Antenna,”4th International Conference on Opto-Electronics and Applied Optics (Optronix), 2017. Priyanka Das, “Design and analysis of Frequency Selective Surface Integrated Circular Disc Antenna,” 2nd IEEE International Conference on Electronics, Materials Engineering and Nano-Technology (IEMENTECH), May 2018. M. Sarkar., S. N. Ray, S. Halder, D. Das, and R. Sengupta, “Evolution of CMOS based NDR and its various applications,” Proc. IEEE 7th Annual Information Technology, Electronics and Mobile Communication Conference (IEMCON), pp. 1-4, 2016. M. Sarkar, G.S. Taki, R. Sengupta, and S.N. Ray, 2017, August. “Design of ripple carry adder using CMOS output wired logic based majority gate,” Proc. IEEE 8th Annual Industrial Automation and Electromechanical Engineering Conference (IEMECON), pp. 328-331, Aug. 2017. M. Sarkar, R. Sengupta, A. Basu, D. Das, P. Saswari, and P. Bhattacharjee,” CARRY LOOK AHEAD ADDER DESIGN USING CMOS OUTPUT WIRED LOGIC BASED MAJORITY GATE”. R. Sengupta, et al. “CMOS Logic Based 2× 1 Multiplexer” Proc. 2nd IEEE International Conference on Electronics, Materials Engineering & Nano-Technology (IEMENTech), 2018. R. Sengupta, et al. “Comparator Design using CTL and Outputwired based Majority Gate.” 2018 2nd International Conference on Electronics, Materials Engineering & Nano-Technology (IEMENTech). IEEE, 2018.